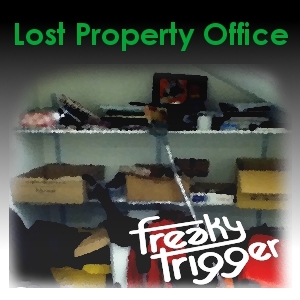 Welcome to the new FreakyTrigger podcast (in association with SOAS Radio), a whimsical trip through the lost and found of life. We’ve been thinking of various audio projects for a while since Lollards and Slug Of Time finished, and before anything grand turns up, here is this little flibbertygibbet of a weekly podcast. Your host Pete Baran (that’s me, talking about myself Alan Shearer like in the third person) drags his guests through the cavernous lost property office in SOAS where they discover surprising books, music and items whilst discussing things they have lost along the way. In the first edition, Hazel Robinson and Magnus Anderson are the first brave guests, testing out the dumb questions, invading the privacy of lost items and finding out how much you can learn from someone from their make-up bag? Live music from Magnus, Young Adult Horror, the Politics of Space and Ballbuster! 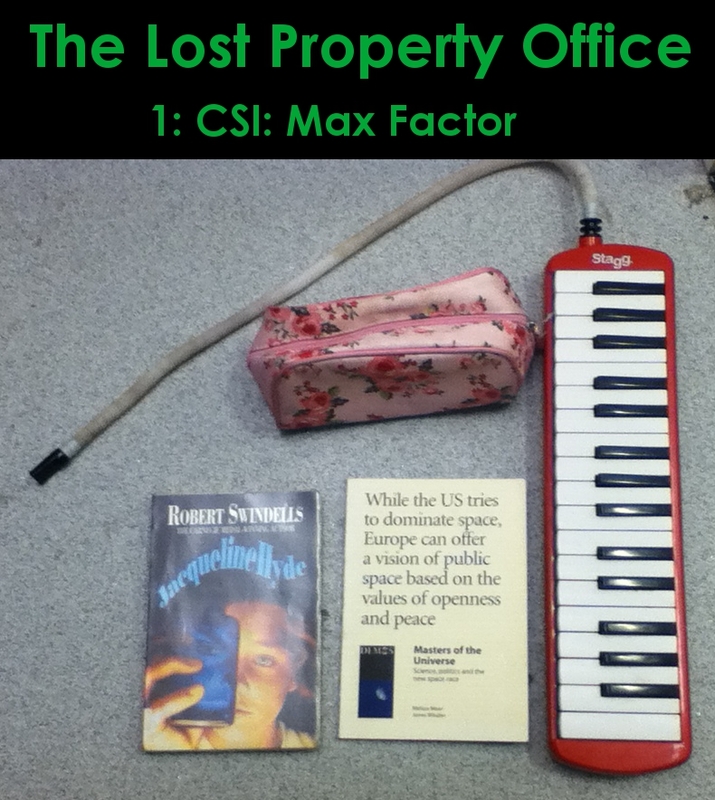 The photo shows the items discovered, and please use the comments if you recognise anything, if its your make-up bag or you recognise any of the music.